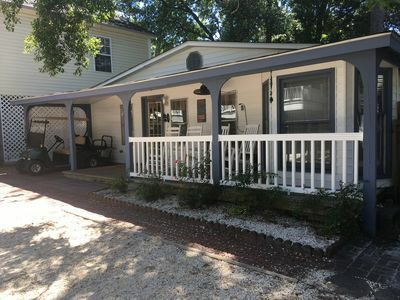 If interested in booking this home, please call me or text me at (803) 730-2124. We do not use the online booking. 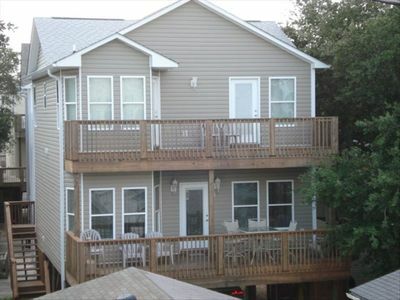 We have other homes available in Ocean Lakes. 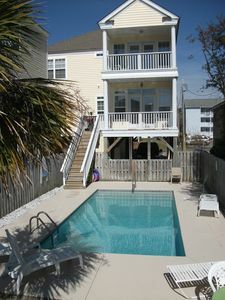 Email us and we will be glad to help you find the perfect vacation home!! The rate for this home includes taxes, departure cleaning, bed and bath linens and one golf cart. Another cart is available for a discounted price. This is a beautiful 5 bedroom 3.5 bath....site 1106. IF YOU ARE LOOKING FOR SOME ROOM FOR YOUR FAMILY AND FRIENDS........THIS IS IT!! 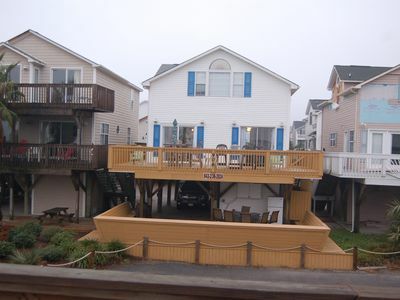 SPACIOUS AND ROOMY ARE JUST TWO WORDS THAT DESCRIBE THIS BEAUTIFUL 2 STORY 5 BEDROOM 3.5 BATH BEACH HOUSE. 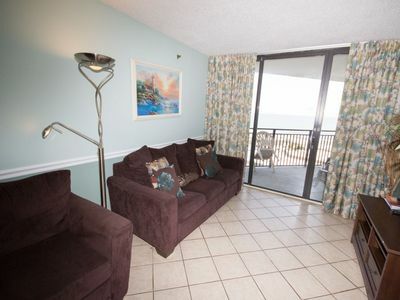 CLOSE TO THE BEACH AND YOU CAN SEE THE OCEAN FROM ALL FOUR DECKS!!! All bedrooms have new flat screen TV's. Great house for large families or two families renting together. 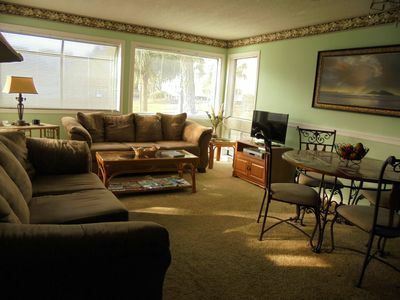 On the first floor is a large den with two full size sofas and two chairs. There is a half bath on this level also. 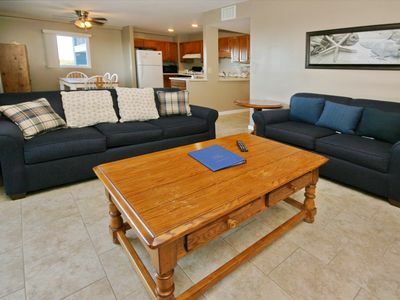 There is a MASTER BEDROOM WITH A KING SIZE BED AND A PRIVATE BATH AND ACCESS TO THE DECK. 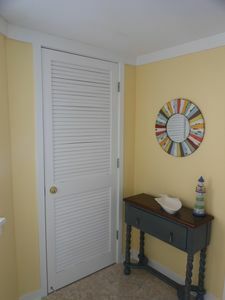 Large closet area also. Big screen flat TV with extended cable. The kitchen is fully equipped with everything you need. New refrigerator with ice maker and water dispenser. The kitchen is also big enough so everyone can come in and get in on the cooking. Make it a family affair. Up the stairs you will find four more bedrooms and two large full baths. There are two bedrooms with queen beds....each having access to the upper deck. There is bedroom that has two double beds and another bedroom that has bunk beds. KIDS LOVE THIS ROOM!! They can all pile in.....one bunk bed has a twin on twin and the other has a twin on double...so this room will sleep five. 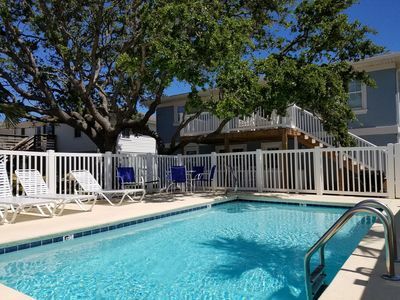 REMEMBER ALL BEDROOMS HAVE ACCESS TO THE DECKS AND......ALL BEDROOMS HAVE NEW FLAT SCREEN TV'S AND COMFORTABLE NEW MATTRESSES. GREAT HOUSE AND GREAT LOCATION!!! 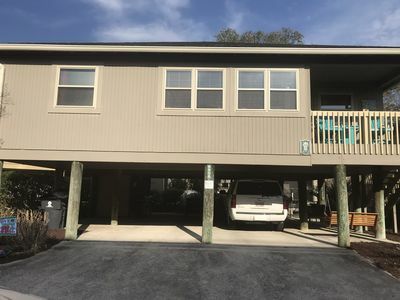 Walk to the beach in less than a minute You will enjoy your BEST VACATION EVER in this large beach house in the family community of Ocean Lakes in South Myrtle Beach. 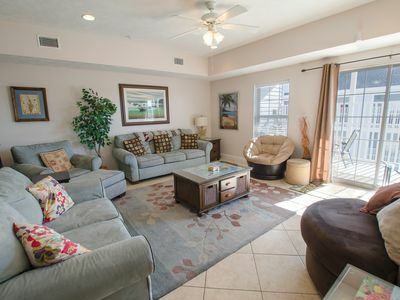 Ocean Lakes offers a safe environment for your family, friends and children. 24 hour security and a gated community. What more could you ask for? Many activities for everyone to choose from during your vacation. Kids are safe and have so much to do, they will never be bored and you will never worry. Enjoy the new WATERPARK and indoor/outdoor pools with kiddie splash area; indoor activity and recreation center with games, or go outdoors for shuffleboard, basketball, playground, and horseshoes by the beach. Seven ponds on site for fishing and duck feeding, snack bars, concessions, and grocery store on premises... no need to drive your car! Rent a golf cart and have fun meeting the many couples and families that have come here year after year. If you just want the quiet of the beach, you have come to the right spot. 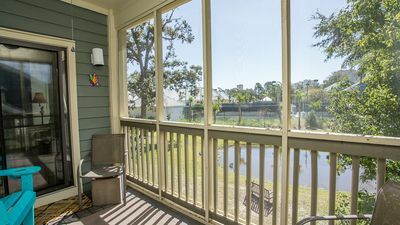 You will never be so relaxed as in this fabulous community, yet if you want incredible shopping, restaurants, and activities Myrtle Beach has the best! I do not do online reservations so please email me or call. 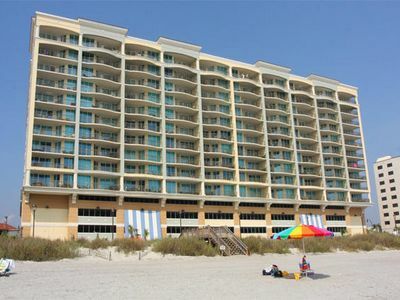 EMAIL OR CALL NOW AND START SAVING ON YOUR NEXT MYRTLE BEACH VACATION. 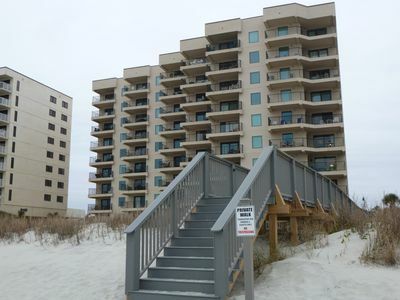 SAVE MONEY AND STILL HAVE A BEAUTIFUL BEACH HOUSE. 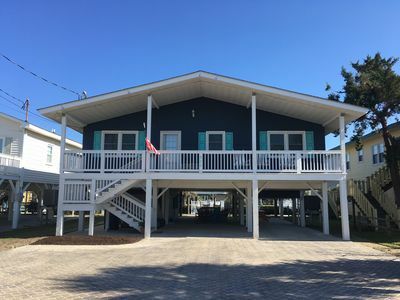 Family friendly beach cottage! WiFi, golfcart, cleaning incl. Reasonable rates!